The major goal of ecological evolutionary developmental biology, also known as “eco-evo-devo,” is to uncover the rules that underlie the interactions between an organism’s environment, genes, and development and to incorporate these rules into evolutionary theory. In this chapter, we discuss some key and emerging concepts within eco-evo-devo. These concepts show that the environment is a source and inducer of genotypic and phenotypic variation at multiple levels of biological organization, while development acts as a regulator that can mask, release, or create new combinations of variation. Natural selection can subsequently fix this variation, giving rise to novel phenotypes. 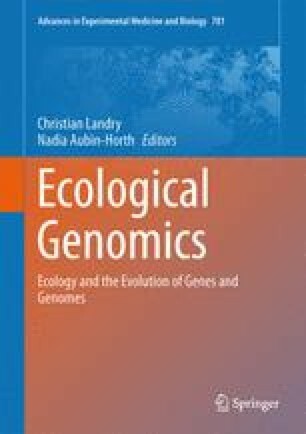 Combining the approaches of eco-evo-devo and ecological genomics will mutually enrich these fields in a way that will not only enhance our understanding of evolution, but also of the genetic mechanisms underlying the responses of organisms to their natural environments. We would like to thank the Editors for their insightful comments on this chapter, and for the opportunity to contribute it in the first place. Funding for this work was provided to E.A. by the Canada Research Chairs Program and Natural Sciences and Engineering Research Council of Canada.